Unfortunately, the studio didn’t want to make that movie and cut their budget to a 4th of what they wanted. 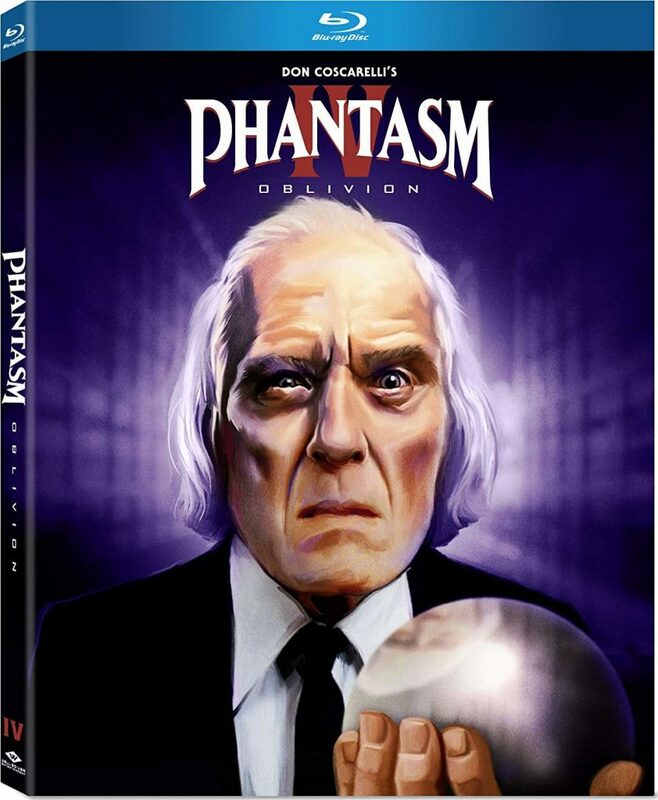 Now we have ‘Phantasm IV: Oblivion‘ which was shot mostly in the desert due to budget constraints. The Tall Man is still trying to play his sadistic game with this cast of characters to the end still as the two protagonists fight for survival. 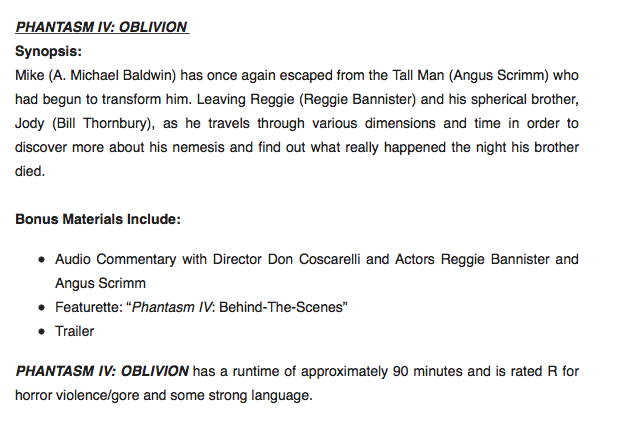 There is some cool history behind the Tall Man here, but it seems like too much to add into this 90-minute movie. Still, it’s a lot of fun. This entry was posted on Thursday, September 27th, 2018 at 3:53 pm	and is filed under Film, News, Podcast. You can follow any responses to this entry through the RSS 2.0 feed. You can skip to the end and leave a response. Pinging is currently not allowed.